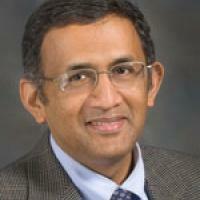 Dr. Gottumukkala Subba Raju, John Stroehlein Distinguished Professor of Medicine at the University of Texas MD Anderson Cancer Center, Houston, Texas, and a therapeutic endoscopist, is interested in colon cancer prevention. He is regularly invited to speak at the American Society of Gastrointestinal Endoscopy education courses and teach in the hands on colonoscopy training sessions to improve detection and resection of flat lesions and manage complications. He was named as the best graduating resident of the Cleveland Clinic Foundation, Cleveland. Listed in the Best Doctors of America, Top Doctors of America, and Super Docs of America, Dr. Raju is also the recipient of the Fellowship of the American Society of Gastrointestinal Endoscopy, American College of Gastroenterology, American College of Physicians and the Royal College of Physicians of England. He was inducted into the Alfa Omega Alfa Society and was selected as the Physician Honoree of the Year, Mardi Gras, Galveston. He was part of the production team that received the American Society of Gastrointestinal Endoscopy Audio-Visual Award, GOLD LEVEL AWARD in the Association TRENDS' 2012 All-Media Contest for the ASGE American Society of Gastrointestinal Endoscopy Self Assessment Program (GESAP VII), Health and Science Communications Association Award -"Colonoscopy & Colon Cancer Prevention" Patient Education Video, and the MarCom Award - Gold Level Award for the development of the Online Learning Center of the American Society of Gastrointestinal Endoscopy, and 33rd Annual Telly Award for the Colorectal Cancer Screening: A Story of Choices. Patient Education Video, The Telly Awards. He was honored as the King of the EndoFest by the American Society of Gastrointestinal Endoscopy.